Welcome to the Chess Cafe. Please sit wherever you like. A waiter will be right with you. This week's menu features triple loyd 44, inverted loyd 18, proof game 45, and goof 30. Free refills on all puzzles! 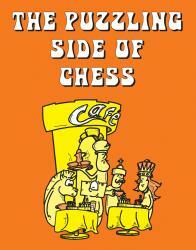 The types of problems presented here have appeared before on The Puzzling Side of Chess. If you are unfamiliar with them, examples with more detailed explanations are available in the archives.